About 40% of adult Americans suffer from heartburn, which is often treated by proton pump inhibitor drugs such as Nexium® and Prilosec®. Long-term use of these stomach acid-blocking drugs can result in serious consequences. A healthier way has been developed to reduce acid re-flux and heartburn symptoms. Mainstream medicine has long targeted the wrong body organ to prevent and treat GERD, focusing on the stomach and the high level of acid it produces. As a result, pharmaceutical companies have taken advantage of the huge market stemming from this perceived “need” to reduce stomach-acid production. They have flooded consumers with advertising for a wide array of drugs designed to alter the pH balance of the stomach, which can have long-term adverse impacts on one’s health.In 2013, more than 15 million Americans were prescribed GERD-relieving medication and many more bought this class of drug over-the-counter.1,15 These drugs include omeprazole, lansoprazole, pantoprazole, esomeprazole, and rabeprazole, sold under a variety of trade names such as Nexium®, Prilosec®, and Prevacid®.Targeting stomach-acid production with these drugs does indirectly reduce reflux symptoms in the esophagus. The hidden side effects, however, constitute massive overkill and cause serious—and potentially fatal—health consequences.Reducing the stomach’s acidity weakens its ability to serve as a barrier to infection. It can also contribute to nutrient malabsorption. More critically, the drugs used to reduce stomach acidity—known as proton pump inhibitors or PPIs—have serious risks.Long-term use of proton pump inhibitors increases the risk of kidney disease,1,2 blood vessel calcification,16nutritional deficiencies,17-19 cardiovascular disease,3,4 infection (including pneumonia),20-24 diarrhea,25-27microbial disruption (dysbiosis),28-30 and bone fracture.19,31-33 And taking these drugs in high doses is associated with a 2.6-foldhigher risk of death.5So the challenge has been to neutralize acid and other stomach contents specifically in the esophaguswithout reducing stomach pH balance. This would enable GERD sufferers to reduce their dose of PPI drugs or steer clear of them altogether. Scientists zeroed in on three natural compounds that, working together, are perfectly suited for a safe, esophageal-protecting effect.First, calcium carbonate has long been shown to act as an acid buffer and to promote neutralization of acid. Compared to swallowed minerals that work on the stomach, calcium carbonate in a chewable tablet form has been shown to reduce acidity in the esophagus.9,10Studies have found that calcium carbonate in a chewable tablet form promotes esophageal motility. 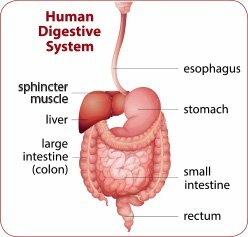 That is, it enhances the sequential, esophageal muscle contractions that help foods and liquids travel the distance from the mouth to the stomach. This helps block the backwards flow of stomach juices from the stomach into the esophagus and more effectively clears any acid already in the esophagus.9,10Second, magnesium carbonate adds protection by neutralizing acid.34 It also provides supplementary magnesium—a nutrient that is frequently eliminated from the body through the use of proton pump inhibitor drugs.35Third, a flavonoid-rich extract of licorice (Glycyrrhiza glabra) has been found to inhibit GERD symptoms. 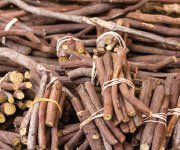 Licorice has been long used in the treatment of ulcers,36,37 and modern biochemical studies have now recognized its potent anti-inflammatory properties.38,39The data on calcium, magnesium, and licorice suggest they may provide safe, protective benefits for GERD patients when taken in chewable tablet form. 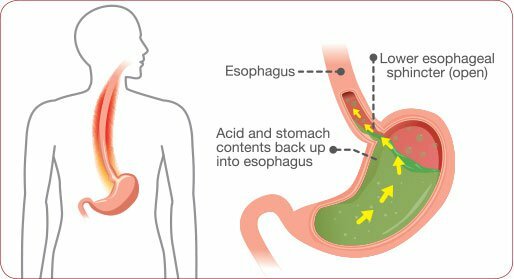 The real challenge, however, has been to determine whether these natural compounds could be proven effective in clinical trials of humans currently afflicted with acid reflux. 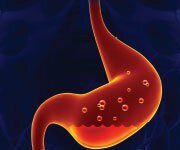 Due to the mistaken belief that excess stomach acid causes heartburn or GERD, a broad range of potentially deadly drugs are taken daily that reduce stomach acidity. However, the human stomach requires extreme acidity to work properly. Calcium carbonate, magnesium carbonate, and deglycyrrhizinated licorice extract target esophageal acid without disrupting gastric acid production. As mentioned earlier, deglycyrrhizinatedlicorice extract(DGL) was demonstrated to block inflammation by inhibiting certain enzymes and proinflammatory signaling molecules.38,39Scientists conducted a randomized, placebo-controlled study, specifically designed to test this licorice extract’s anti-inflammatory effects on those suffering from functional dyspepsia—a chronic disorder of the upper digestive tract.11,40 The multiple symptoms can include heartburn, bloating, nausea, belching, and burning and pain in the epigastric area (the esophagus just above the stomach). Functional dyspepsia affects one in every ten people.40The team enlisted 50 adult patients with functional dyspepsia. Subjects were randomly assigned either to a control arm that received a placebo or to an active arm that received 75 mg of deglycyrrhizinated licorice extract. Both placebos and extract were taken with a glass of water daily after food, in the morning and again at night.11 All volunteers were asked to complete a series of symptom and quality-of-life scales at baseline and after 30 days of treatment.Patients supplemented with the licorice extract reported a significant 51% reduction in their overall symptom scores, while the placebo patients experienced only a 29% symptom decrease.11Licorice-supplemented patients were also asked to rate themselves on a dyspepsia-specific scale that considered 10 gastrointestinal symptoms—upper abdominal fullness, upper abdominal pain, belching, bloating, early satiety, nausea, vomiting, regurgitation, heartburn, and loss of appetite.Results showed a 55% decrease in these dyspepsia symptoms in the licorice extract group, while placebo patients showed only a 19% reduction.11 A substantial 56% of the supplemented subjects demonstrated improvements in what is known as a global efficacy score—a special index for the overall response to 30 days of intervention—while placebo subjects showed a 0% improvement.11The overall findings clearly demonstrate that these natural compounds provide fast heartburn relief, effective GERD prevention through improved esophageal motility, and symptom improvement in those with functional dyspepsia. No adverse events or side effects were reported in any of the studies. 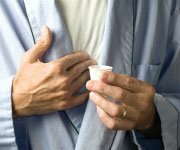 The public misconception about the underlying causes of heartburn, or GERD, has resulted in widespread use of drugs that dangerously—and excessively—reduce stomach acid. But the human stomach requires acidity for proper functioning.Proton pump inhibitor drugs have been found in observational research to seriously boost risk of illnesses ranging from kidney and cardiovascular disease to earlier mortality.Human studies demonstrate that proper use of low-cost nutrients can safely neutralize esophageal acidity—without disrupting gastric acid production. 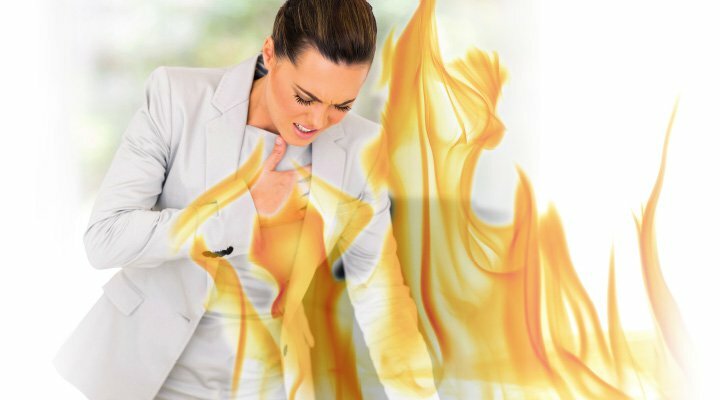 They also improve esophageal motility, which helps prevent acid reflux and improves protection of delicate esophageal tissue.Calcium carbonate, magnesium carbonate, and deglycyrrhizinated licorice extract have been shown to confer symptomatic relief from heartburn and dyspepsia.9-11,34Those who seek to reduce or eliminate their reliance on proton pump inhibiting drugs should consider taking 1-2 chewable tablets containing these three nutrients after meals and at bedtime.If you have any questions on the scientific content of this article, please call a Life Extension® Wellness Specialist at 1-866-864-3027. Bavishi C, Dupont HL. Systematic review: the use of proton pump inhibitors and increased susceptibility to enteric infection. Aliment Pharmacol Ther. 2011;34(11-12):1269-81.